These days, it seems everyone is at it: a little baby Botox here; a sprinkling of filler there. And with celebrities finally coming clean about having these “minor procedures”, they have become both acceptable and “normal”. 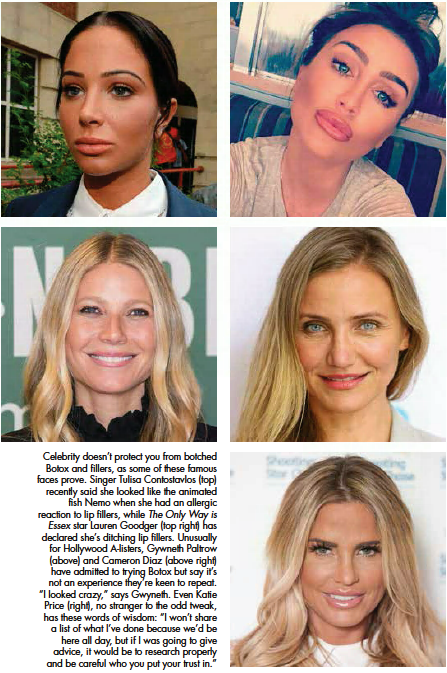 So much so that it is now a billion-pound industry, with non-surgical options like dermal fillers, Botox and laser hair removal accounting for nine out of ten cosmetic procedures in the UK. Yet while cosmetic surgery is regulated in this country, certain non-surgical procedures are not subject to any controls. At present, filler is not licensed, which means anyone can administer it. In other words, a beauty therapist, hairdresser or other layperson – perhaps with minimal training– can buy the stuff on the Internet and set up a “clinic” at home. Botox is medically regulated but still people manage to get it illegally and inject it. The Government is reluctant to step in to control what has become a booming industry, so if you are contemplating having one of these treatments it is vital to know who you can turn to for advice on how to do so safely. After all, we have all probably seen or read of horror stories. 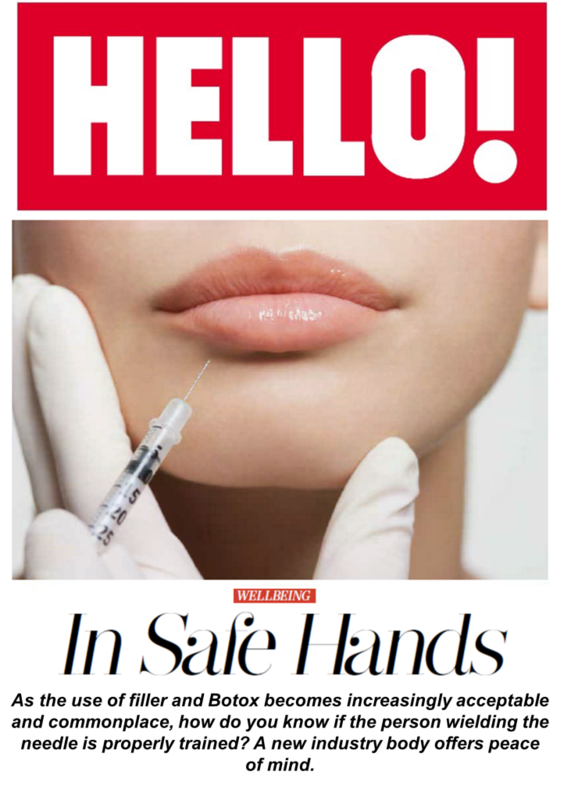 “It’s deeply disturbing that anyone can inject fillers and that Botox is not more closely monitored, says Dr Christian Jessen, GP and presenter of TV’s Embarrassing Bodies and Supersize vs Superskinny. In 2013 the Review of the Regulation of Cosmetic Interventions, chaired by NHS medical director Professor Sir Bruce Keogh, called for better regulation of the industry – including surgical and non-surgical procedures – better training and proper redress if things go wrong. It also recommended the establishment of an independent body to assess and register fully trained medical aesthetic practitioners, but the Government has yet to put this in place. That is why the industry has stepped in, setting up Save Face, a voluntary regulatory body of accredited doctors, nurses and dentists who fulfil strict criteria. Safe, impartial and accessible, Save Face covers Botox and fillers, lasers, radio frequency and IPL, sclerotherapy, chemical peels and cryolipolysis (using extremely low temperatures to destroy fat cells). It has the backing of Dr Christian, who’s keen to help raise awareness of the register and encourage more aesthetic medical experts to join. “And I should know; I was vetted by them and it’s a very thorough process – from checking your medical qualifications and assessing your level of training to visiting your premises and clinic. They check hygiene and safety and assesswork. It is an intense, thorough process – as it should be. And, importantly, they only register doctors, nurses and dentists. damage untrained practitioners can do, that was of particular concern. Saveface.co.uk register is accredited by the Professional Standards Authority. It’s recognised by the Government, the Department of Health and NHS England.